This post is all about the latest challenge which starts today over at Crafting with an Attitude. As usual, our theme is "Anything Goes" and we have Lemon Shortbread as our fabulous sponsor! 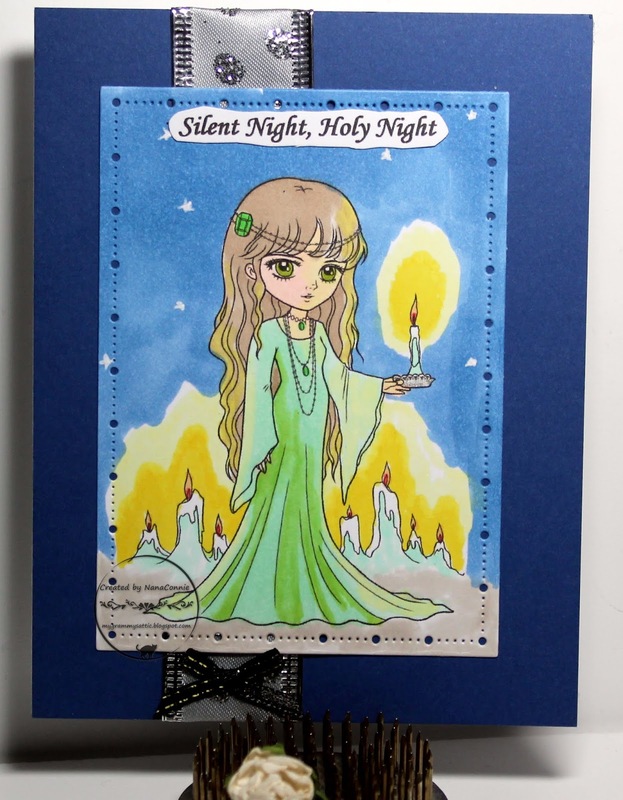 They generously supplied us with images we could use and I fell in love with Candlelight Girl. Candle light at Christmas is probably my favorite thing during the holiday season. I think the image may have originally been intended for Halloween but it's so versatile, it worked perfectly for a Christmas card as well. I think it could make a great birthday card, too. I colored with ProMarkers, made the stars with white gel pen, and cut it with a die from Gina Marie. I used silver ribbon with glittery, silver spots which could be interpreted as winter snowflakes. Everything went onto a navy blue card front, and I added a tiny, hand tied, bow below the image. It's pretty CAS but that's what showcased the image. 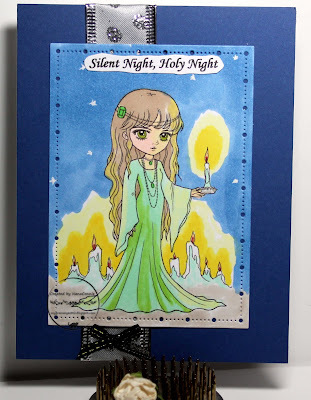 SO very pretty Connie, love the candlelight, beautiful colouring. Beautiful card! I love how you've used this image for a Christmas card. Thank you so much for sharing with us at Lemon Shortbread Challenge Blog!